Abstract: This episode is about Michael Jackson and the Egyptian ruler, Cleopatra. 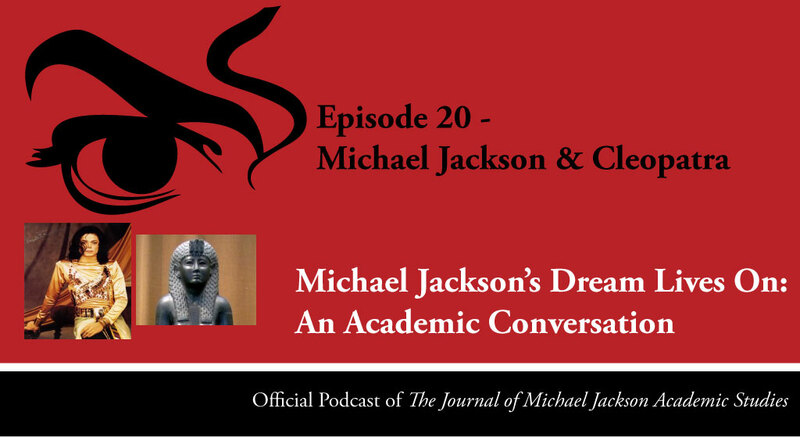 Karin and Elizabeth discuss Michael Jackson’s personal art collection, his personal and creative interest in Cleopatra, and the representation of high-status black people in western culture. To expand your knowledge on this topic take our Michael Jackson & Black History Online Course. Take one of our 17 Michael Jackson Courses here today: www.onlineartseducation.co.uk Use the coupon code HOLIDAYS and receive 10% off at the checkout until December 24th! Michael Jackson was very educated. Cleopatra’s shifting images were no surprise to him. 2. Shawn Kelly, Racializing Jesus: Race, Ideology and the Formation of Modern Biblical Scholarship (Routledge, 2002). 3. Francesca T. Royster, Becoming Cleopatra: The Shifting Image of an Icon (New York, 2003). 4. Francesca T. Royster, “‘Hee Hee Hee’: Michael Jackson and the Transgendered Erotics of Voice.” The Journal of Michael Jackson Academic Studies 1, no. 3 (2014). Published electronically 18/09/14. http://michaeljacksonstudies.org/hee-hee-hee-michael-jackson-and-the-transgendered-erotics-of-voice/. 5. Francesca T. Royster, Sounding like a No-No: Queer Sounds & Eccentric Acts in the Post-Soul Era (University of Michigan Press, 2013). 6. Michael Jackson, Remember The Time, (dir. John Singleton, 1991). 8. Kim F. Hall, Things of Darkness: Economies of Race and Gender in Early Modern England (Ithaca, London, 1995). 9. Take one of our 17 Michael Jackson Courses here today: www.onlineartseducation.co.uk Use the coupon code HOLIDAYS and receive 10% off at the checkout until December 24th!